Second time in less than one year that my 2018 Subaru Outback has a crack in the windshield. Will have to have it replaced, AGAIN. I have the Eyesight on this Outback. My last Outback (2015) did not have Eyesight and it didn't crack a single time in the four years that I had it. Not sure I would have traded it in had I known of this issue! This is the second time our windshield has cracked. We had a windshield replaced in September 2018. A small chip spread across the windshield during a rain. Paid a $500 deductible. 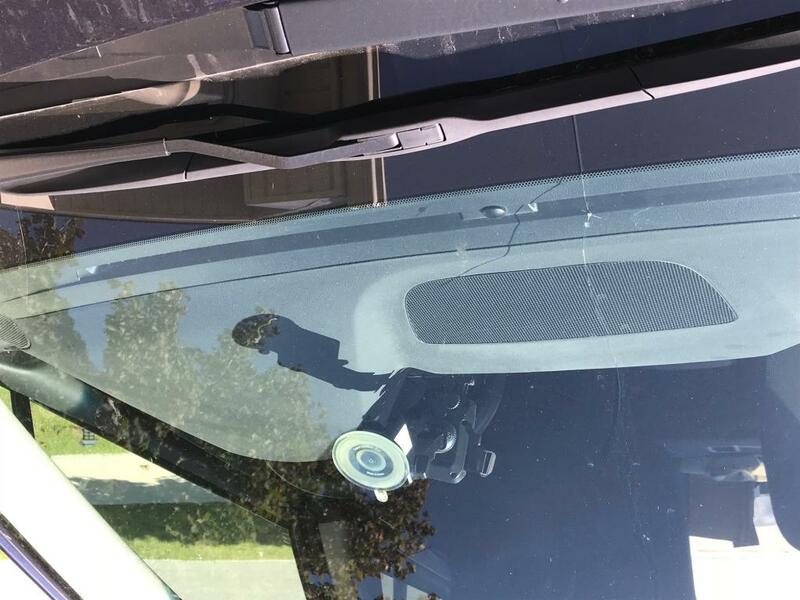 3 weeks ago, (Feb.2019), the second windshield was chipped during normal driving. On March 7, 2019, a resin repair was made to the chip. On the way home, sand debris from the road blew up and hit the windshield. Upon inspection, there were at least 20 nicks to the windshield. I called the insurance company, I called the Subaru dealership and they said to bring it in so they could take pictures of the nicks and send to corporate. They would decide if they would replace the windshield at no charge. Today, 2 days later, a nick turned into a full blown crack traveling part of the way across the windshield! I have NEVER seen such a fragile windshield! With the exception of this Subaru, we have only replaced one windshield in our lifetime of owning vehicles. I've been driving over 50 years and have owned a lot of vehicles. This is ridiculous! There have been class actions lawsuits regarding their windshields in the past. We will be joining this class action lawsuit if this is not resolved to our satisfaction! VERY DISAPPOINTED IN THE QUALITY OF THEIR WINDSHIELDS!!!! On the morning of February 18, 2019 we swept approximately an inch of powered snow off our car. We soon discovered a crack in the corner of the windshield on the driver's side. This is the second crack in the windshield in just over 2 months! We have NEVER had this happen with any other vehicle we've owned. Why is this windshield so delicate?!!! It gets cold and cracks?? I have read comments about how this problem is not the windshield - it's the fact that we're putting warm air on a cold windshield...well, I've turned on the defroster to melt frost/snow off my windshield for many years, and have never had this problem...not once! Not until THIS car! I believe there is something wrong with the construction of this windshield, or how it is installed in the frame. We won't be replacing this windshield until the weather warms up. December 10, 2018 we swept about 2 inches of powdered snow off our car. I started the car then noticed a crack beginning on the passenger side of the bottom of the windshield, and approximately 8 inches long. As we drove the car the crack slowly lengthened. We had the windshield replaced a few days later. We turned in a claim to our insurance company, however, had to pay $100 out of pocket. Our Subaru was about 2 weeks old when while on a drive on a paved highway a crack suddenly appeared on passenger side of windshield. We had not experienced any indication of getting hit by a rock, etc. It seemed to come from the edge and extended in a curved pattern about 8 inches. The crack grew to about 12 inches. Went to local Subatu dealer in Rapid City, SD the next day. 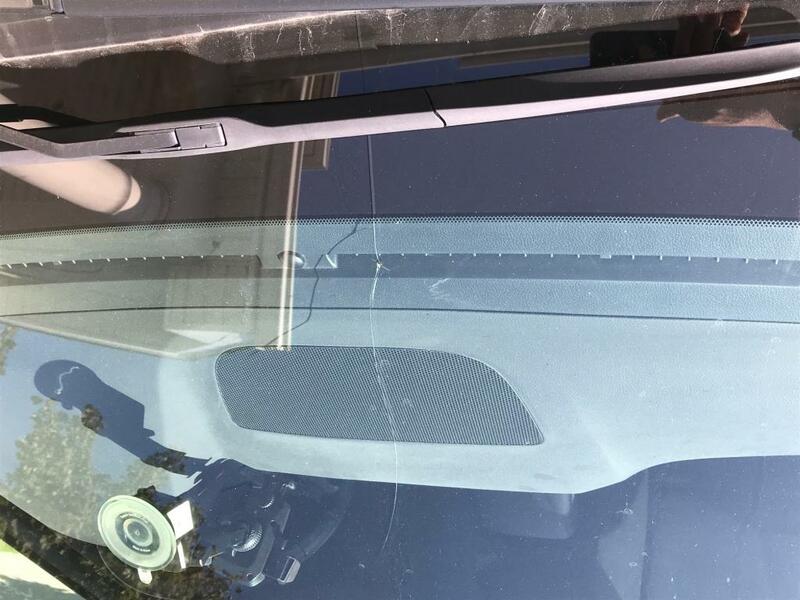 The service tech traced the crack with a ball point pen and found a "star" indicating a rock chip very near the side edge of the windshield where the crack appeared to start. Since they don't replace windshields at their dealership they referred us to the local Safelite shop. They confirmed that it was a rock chip & replaced the windshield with what they told us was am OEM Subaru windshield. Since the car has "Eyesight" potentially it may have had to be recalibrated, but in our case it did not, which saved us a few hundred $$. Incidentally, within one week of the windshield replacement we had a known rock hit the windshield while driving on a paved highway when we met a pickup truck and saw & heard the rock hit. It left a chip which we had repaired by the same Safelite shop the following day. I had just drove off the lot and not 24 hrs. past brand new, got hit by a small rock...I thought it was a bug didn't even flinch and then a little thud afterwards 3 mins....crack appeared to move all the way across my vision. 12 inches immediately. I did not see any obvious stone chip, but the service tech suggested it may be below the windshield wiper when I made the appt to have it looked at. She then proceeded to "find" a small nick with her fingernail just below the windshield wiper. I saw the Youtube video showing this same problem, and suggested to her it may be a design issue like the 2015 Outback. Got in car in our garage to find a crack in windshield extending from side edge of windshield approximately 2 inches from upper corner on passenger side. No known incident of a rock hitting the car. We traced it with a pen and examined it closely (due to a previous similar crack back in May 2018). We could neither see nor feel anything indicating a rock chip. In fact it was difficult to keep the ball point in the crack. Called the Rapid City, SD Safelite shop who had replaced the windshield back in May. They said to bring it in, which we did 3 days after noticing the crack. The gal at the desk came out and examined the crack in their parking lot and found no evidence of a rock chip, indicating it was a "stress crack" & they would replace the windshield at no cost to us. When the technician had moved the car into the shop he came out & said he did find a small rock chip which he showed to us. It was quite visible then and also could be felt with a finger. We had definitely not seen nor felt it prior, even right after we noticed the crack, or when the Safelite gal who checked it out in the parking lot assessed it. The technician explained that it was apparent now due to the good lighting in the shop. (Not saying anything fishy going on there, but it does make you wonder.) Anyway, options were to replace the windshield again or he could do a repair to stop it from spreading and get us through the winter months. By the way, we paid for the 1st windshield replacement out of pocket due to insurance deductible being $500. Now we are looking forward to another $500 minimum, depending on if the new windshield requires recalibration. We went ahead with the repair to prevent crack from progressing for now. My wife & I have each been driving cars for over 50 years in this same part of the country and have NEVER had a windshield crack on any of the numerous vehicles we have had. This seems to be a problem with the glass as I doubt the rocks have evolved over the years to be more destructive to car windshields. I am here to report my 2018 Subaru Outback windshield crack. I heard the same problem happens on 2015 Outback (I owned one before). So I found the document from Internet, Subaru 12-192-15R, about extend warranty for 2015 windshield. I took the file to a Subaru shop, they just refused 2018 has the same problem - no same warranty. Now I don't know what to do. This is my second Subaru in 1 year. My 2017 was totaled by hail (all the windows were knocked out). We were driving on the highway, and we got hit with a small rock. It hit right at the bottom, and it instantly started to crack. Within 30 seconds, it grew to well over 12 inches. It was a very small rock, that should've only been a starburst of a ding, and easily fixed. My 2017, had the exact same crack before it was totaled out from hail. I actually had a pending insurance claim to get the windshield fixed because they cost around $600-$700 to replace. The car has less then 500 miles and I already have to get the windshield replaced. I read there was a pending lawsuit on other Outback years, and obviously, nothing has changed. I even have the windshield coverage for the outback, but it only covers dings, not large cracks. Didn't even stand a chance. I know on the first event of the windshield cracking, a pebble hit in while on the highway. We had it back for 7 days when it happened again, got it back last Friday and it happened again (today is Thursday 5/17). I know the dealer claims a pebble hit it the second time, and I am sure they will this time. I cannot imagine how a pebble can cause this, been driving many years and have noted this happen previous and have had many pebbles hit my windshields over the years. I suspect faulty glass, I shared that with the dealer but no success. I will examine options under Virginia's Lemon law. Each time this occurs it takes the car away for 2 days as with all the technology the windshield must be calibrated as well.